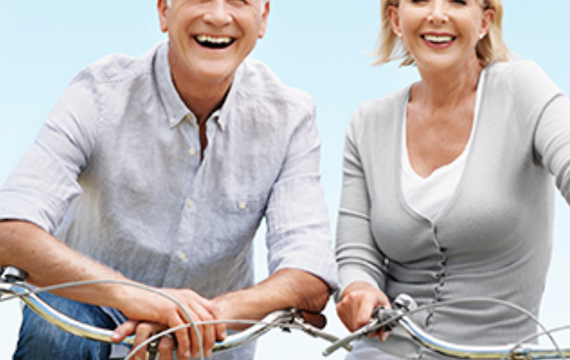 InventLady.com > Blog > Articles > Are You Anti-Aging, or Joyfully Aging? There is an incredible amount of attention given to “Anti-Aging”. Every person now alive is aging. No one seems to notice that until age 45, when the countdown begins. Millions of dollars are spent every year in an effort to pretend they are not one year older on their birthday. Cosmetic surgery, laser treatments, creams, and drugs, are consumed in mass quantities, all, to make a person look younger. Instead of enjoying every moment of precious living we have, lifetimes are wasted in pursuit of a false facade of youth. What happened to grandma and grandpa sitting in rocking chairs on the porch, sitting in silence just relaxing? Our society has changed so much, I doubt there are very many porches safe enough to go outside and sit in a rocker. We have been lead to believe every minute of every day must be spent doing something constructive, otherwise we are wasting our lives. Most people are living alone by retirement age, whether by divorce, illness or death. Retirement has been postponed years after the original retirement age of 65, not because people want to work, but for pure survival. The money set aside for retirement has been used up by outrageous medical bills or prescription medication costs or the high cost of just staying alive. Homeowners have lost their homes and their entire life savings to pay for assisted living or hospital bills. It is not uncommon to find a retired teacher, or small business owner working as a cashier at Walmart. When not working, this “should be” retired person, takes on child care for the grandchildren. Safe daycare costs exceed the amount of money that could be earned at a job, making it mandatory that child care be kept “in house”. Children are left out in a locked car for several hours while a young mother works nights. Children are left with a boyfriend who may or may not leave the house while he is supposed to be taking care of the children. Children are left with neighbors, friends, or others so a parent can go to work. Do you think these children get a home cooked meal or a trip through McDonald’s? Is it any wonder children grow up sick and fat? These children grow up to be sick, fat and stressed adults. This cycle perpetuates and gets worse with every generation. How did we get to this crisis, cliff edge of poor health, for so many people? The biggest business in the USA today is pharmaceuticals. The next in line is health related quasi fixes; hospitals, urgent care and walk in facilities, assisted living facilities, medical testing of all kinds including blood work, MRI, CAT Scan, X-ray, and EKG. I have not heard the word “cure” from any healthcare provider in the last 15 years. An appointment is scheduled for the next evaluation, procedure or test. When does anyone take the responsibility of actually “making a decision”? In this time of ridiculous specialization, the foot requires a different specialist than the toe, calf, knee, thigh or hip. Within any of these problems, a patient may well also encounter a blood specialist, cancer specialist, bone specialist, skin specialist, and the list goes on. Herein is the basis for the problem. One (1) patient is likely to have five (5) different physicians prescribing several different, competing or overlapping medications. When a medication is not effective and any or all of these physicians prescribe a different medication, the medical records are not updated to reflect that information. In reality, a patient is frequently found to be taking discontinued medications as well as current medications, usually generic, so the patient is not even aware that there are duplicate medications. If a patient gets up the nerve to question the need for a test or medication the physician is prescribing, that physician is likely to send a letter firing you as a patient, with some language similar to “our medical practice does not feel we can effectively treat you since you have refused to cooperate with our recommendations, therefore you will need to make arrangements for your medical files to be transferred to another physician”. OMG. At 65, new to medicare and to a new physician because your existing physician is not in your insurance network, and 3 physicians later, you finally figure out that resisting any test requested by the physician is likely to end badly, ie. you will be getting another letter… So you are officially sucked into the medical mire that now defines your existence. Doctor’s offices, tests upon endless tests, blood work to the point you believe they should pay you for all these withdrawals, 15 different medications leaving you feeling drugged and nauseated most of the time. You envisioned retirement to be playing bridge with the “girls” or having lunch with friends. You may technically be alive but it is questionable. Clearly, you have no quality of living. You are not enjoying your life. You feel terrible and everyone around you knows it! If you want to enjoy the rest of your life. take responsibility by taking charge of your health. 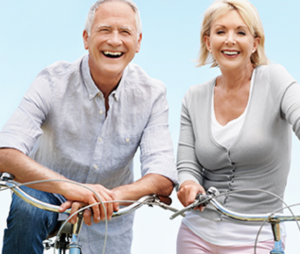 It is not too late to make life changing decisions so you can enjoy aging. No one is more concerned about your health than you are. Talk to your friends. Ask questions. Read articles on what you can do to improve your health. Find out what medications you are taking and find out if there is a natural alternative. Stop eating fast foods and canned food of any kind. Read labels. Avoid sulfates and other preservatives. Eat fresh vegetables when possible. Exercise, anything is better than sitting around all day. Start just walking and use exercise machines when you are up to it. Place a value on how well you feel and be willing to devote some time and attention to achieving more wellness. Every change you make helps improve the quality of your health and how you live the rest of your life. You can’t stop aging, however you can enjoy how you age.